Dr Palmer is a trained applied ethicist, qualitative researcher and the Deputy Lead of the mental health research program in the Department of General Practice at The University of Melbourne. She has worked across the disability, domestic violence and mental health sectors for over ten years. In 2007 she completed a PhD thesis which examined moral and ethical community formation. From 2007-2010 she participated in a large study of the organisation of primary care for depression, and lead two studies exploring social prescriptions for depression, anxiety and co-morbid physical health and the philosophy of generalism for primary care. She recently completed an exploratory study of photo elicitation to explore cultural representations of living with depression for Vietnamese women. Victoria is the principal investigator of a four year stepped wedge cluster randomised controlled trial of an experience based co-design method in the community mental health setting for people living with severe mental illness in the Victoria, Australia. 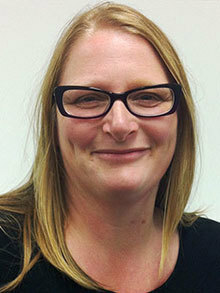 Her work across participatory action research methods like co-design and developing ethical frameworks for vulnerable groups in research makes her a critical contributor to exploring the ethics of the 'networked living research theme improving healthcare through participatory, personalised and preventative medicine'. Victoria's research will explore the ethical issues brought about by participatory, personalised, preventive and predictive medicine (P4 Medicine). The networked society will have a substantive impact on vulnerable populations such as people living with severe mental illness and their carers. Dr Palmer will examine the ethical implications raised by P4 medicine and the impact on vulnerable groups and to work toward the development of networked ethical responsiveness.